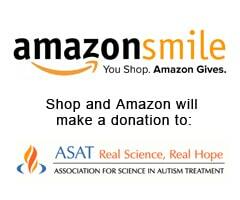 Support Real Science in Autism Treatment! Review of Do You Believe in Magic? Help us keep SCIENCE at the forefront of every conversation about autism treatment! Educating, responding, and supporting accurate media depictions. What is the best way for my child to receive treatment? The ASAT - Association for Science in Autism Treatment has been promoting science in autism treatment for 20 years! We are marking this milestone anniversary through an ongoing campaign to increase our reach and to promote our mission and initiatives. Subscribed! I recommend it to everyone I work with! It’s a great resource! Absolutely agree with this! Awareness is important but we also need to emphasize the need for science-based intervention! This realm isn’t always easy to navigate, as there is so much misunderstanding and misinformation out there. How likely is it that I could have another child with autism?